I have a 2017 JIVE / METRO, what is the warranty claim period? 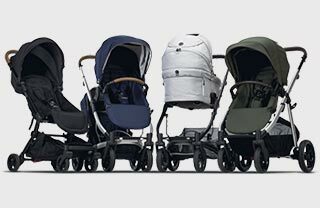 If I buy a Redsbaby pram or spare part (e.g. chassis or seat frame) from a second-hand website, am I covered under warranty? Can I use the JIVE² Second Seat Conversion Kit on my 2016/2017 JIVE?